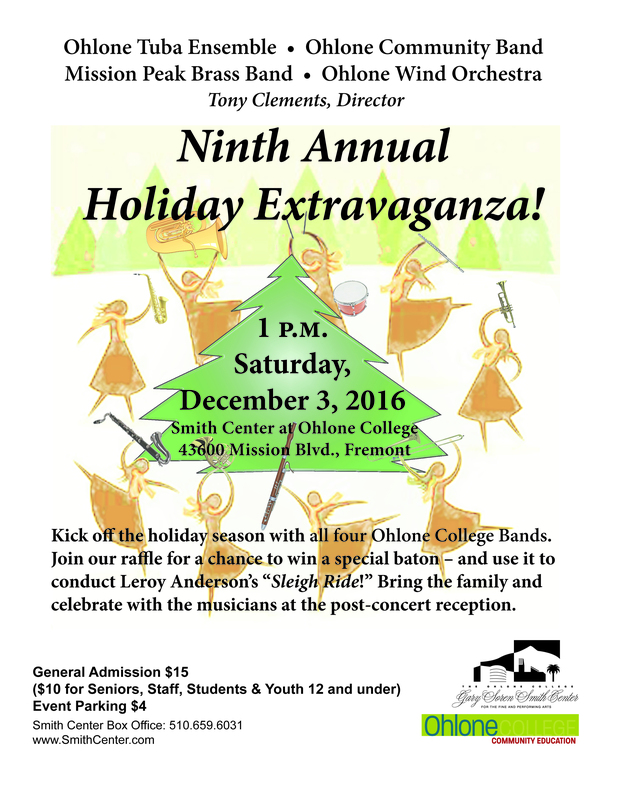 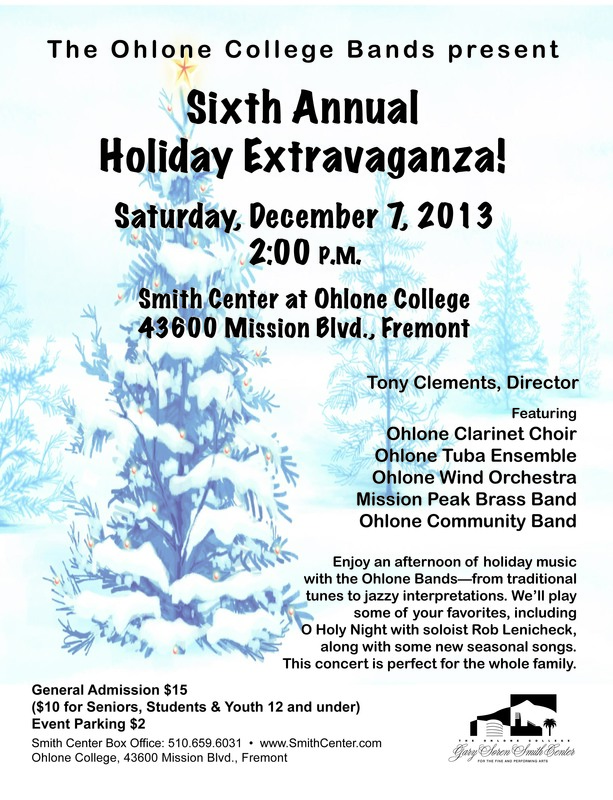 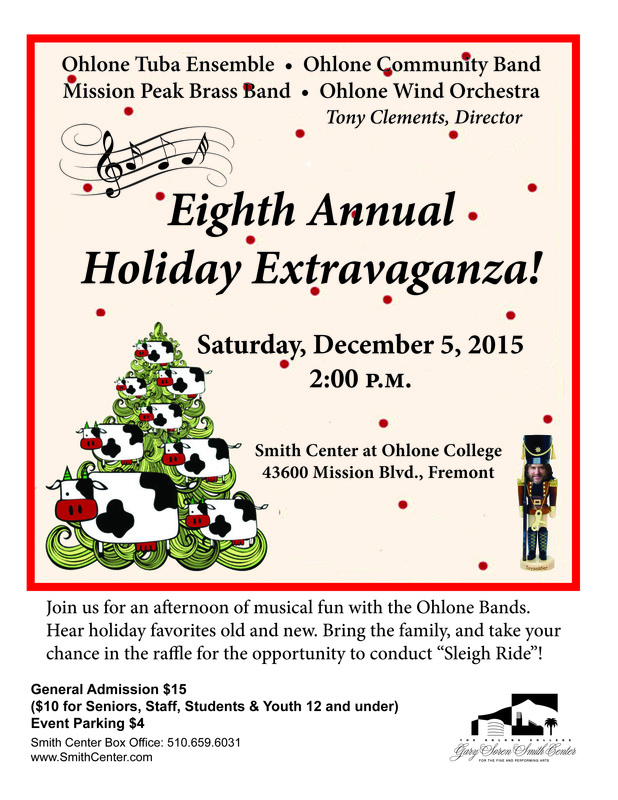 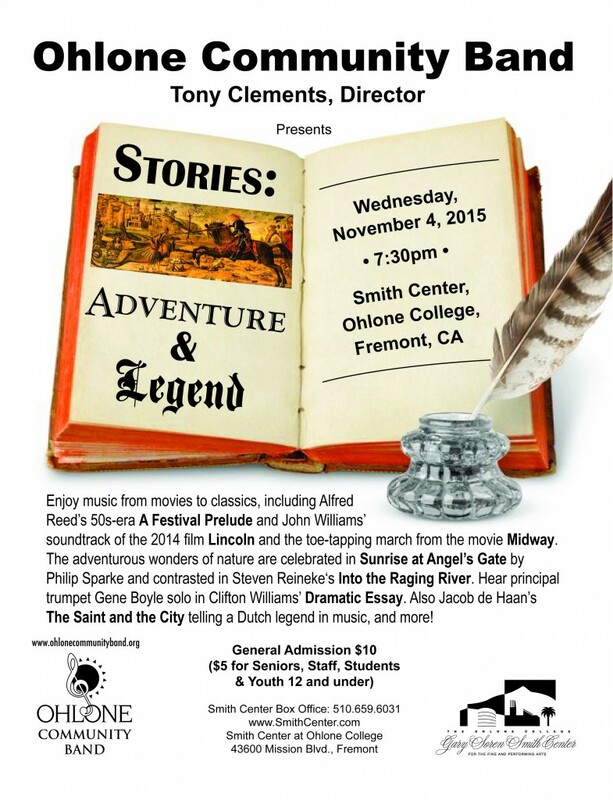 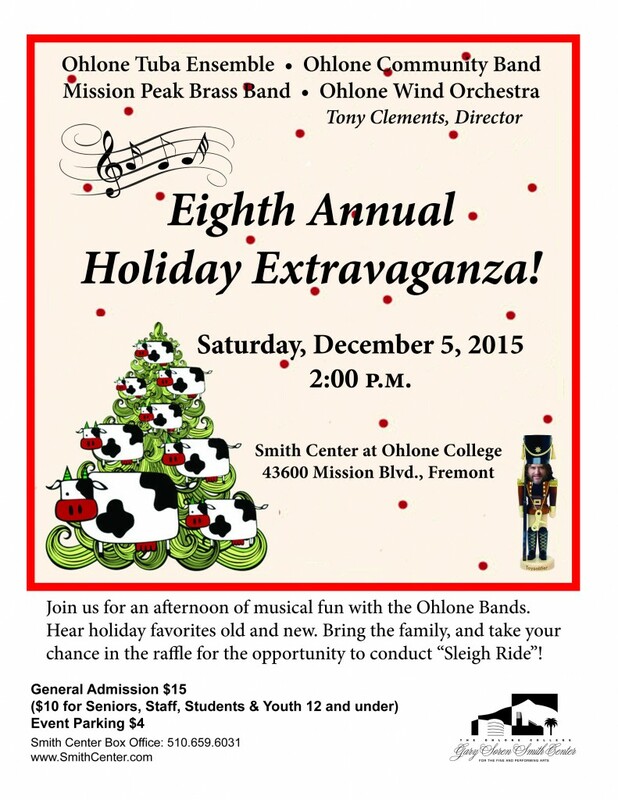 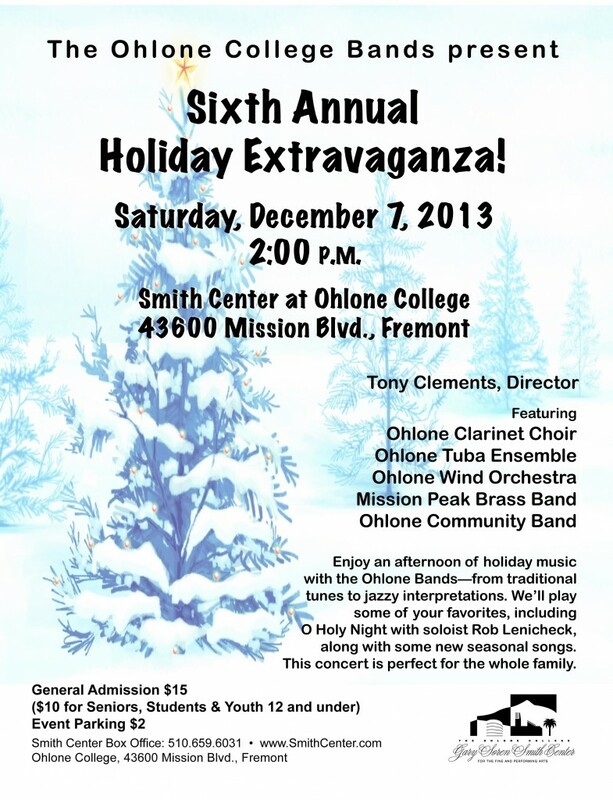 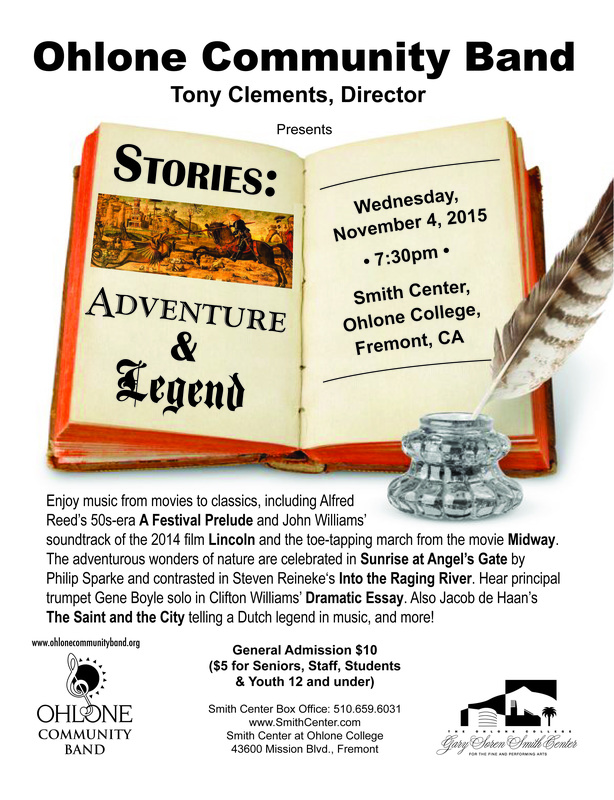 December 5, 2015 – Eighth Annual Holiday Extravaganza! 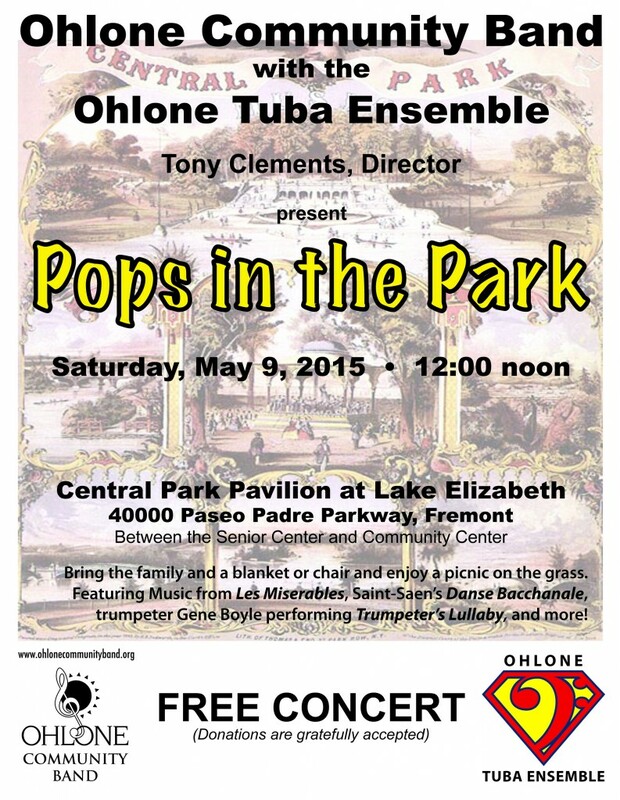 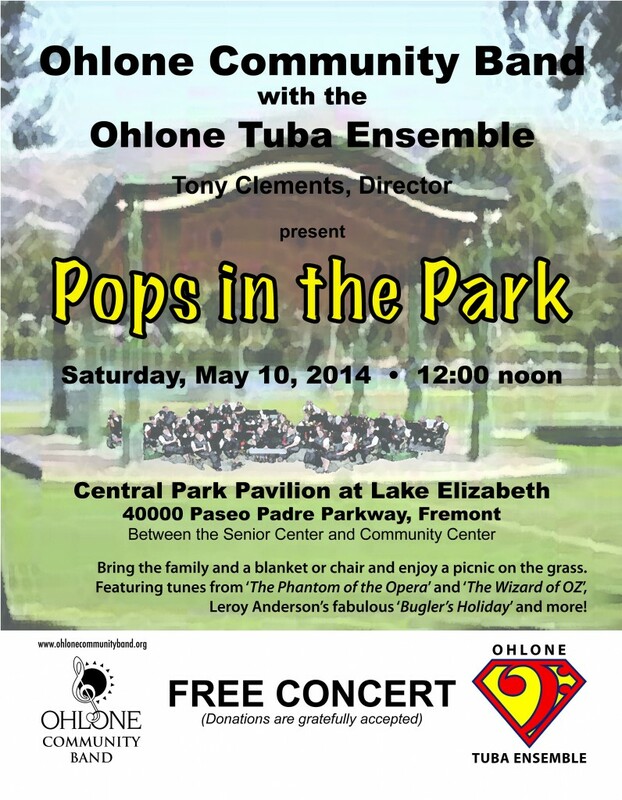 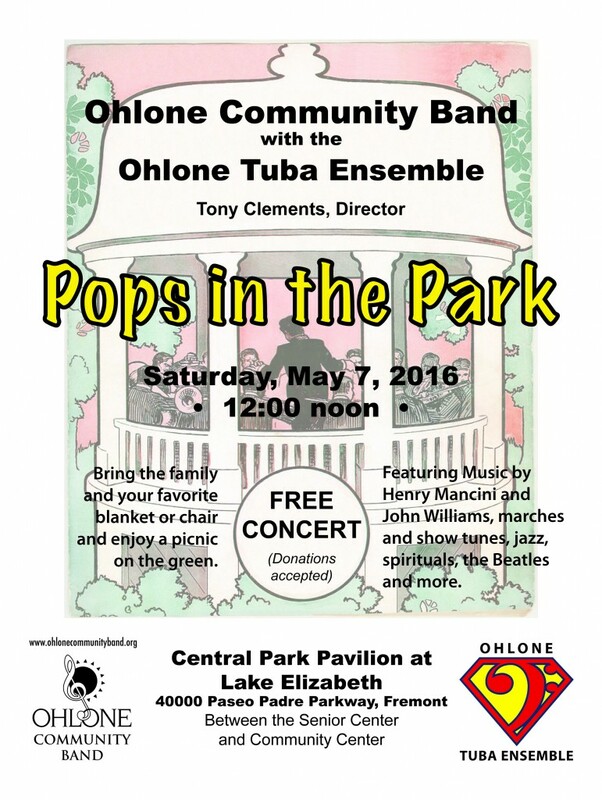 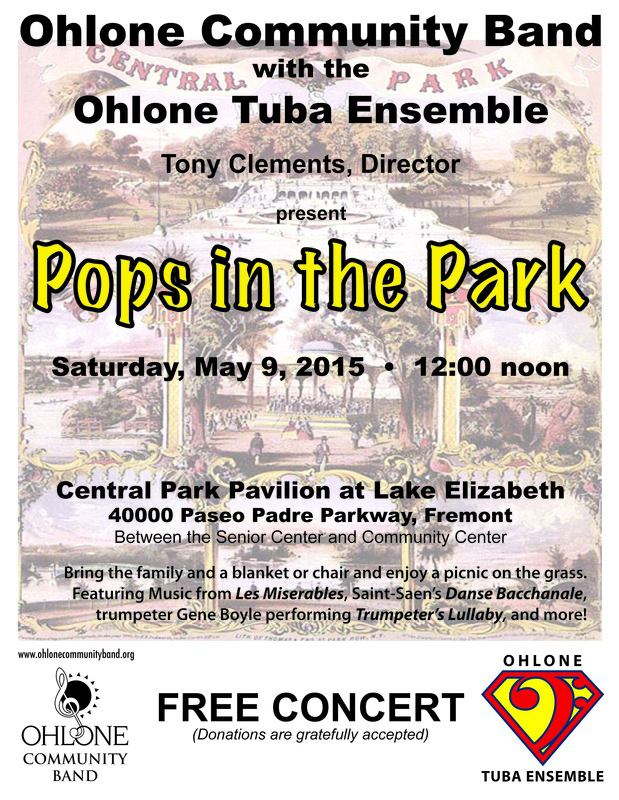 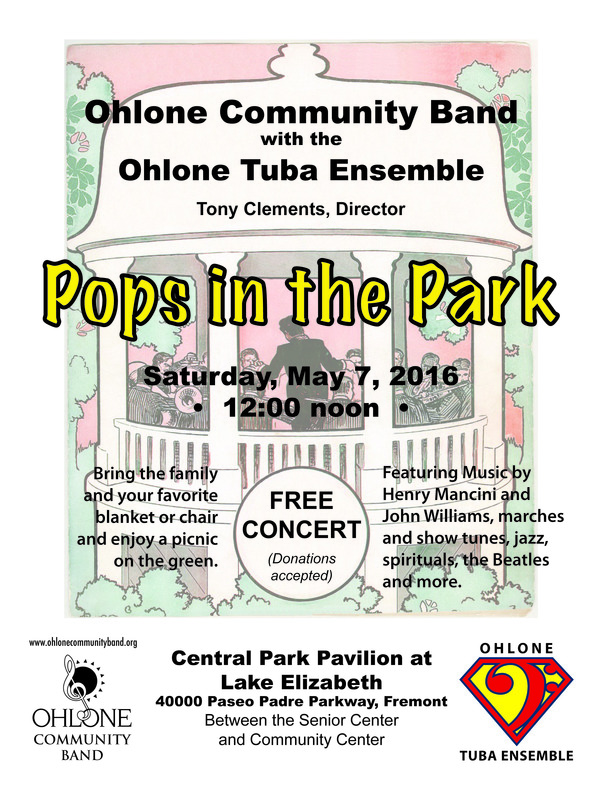 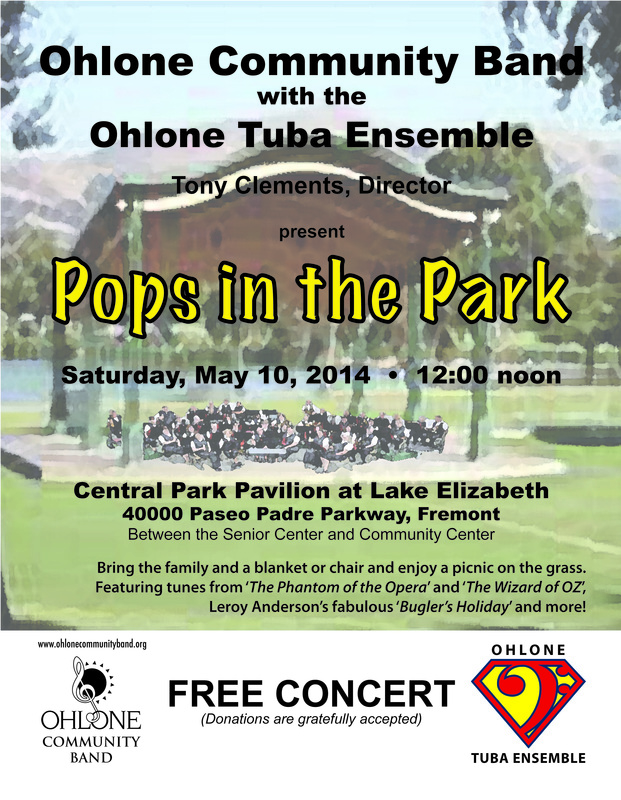 Ohlone College Bands – May Concerts Announced! 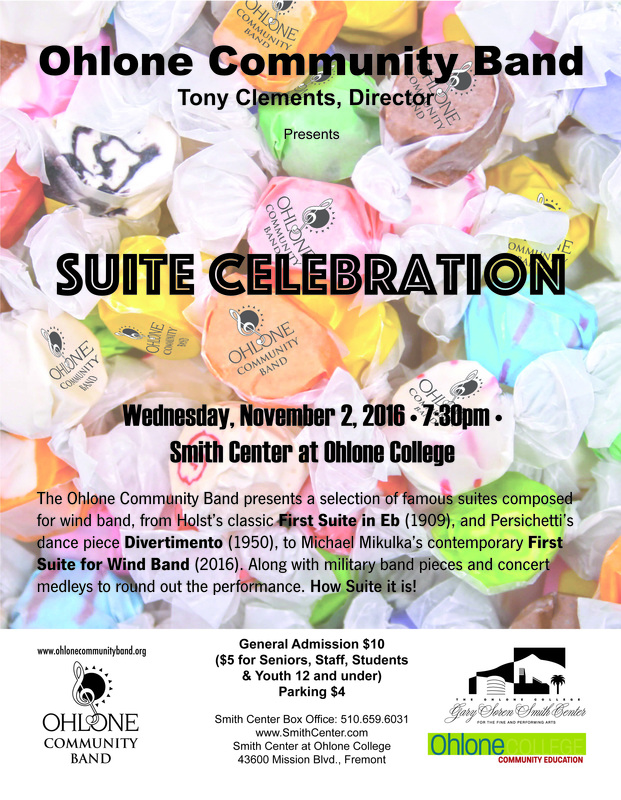 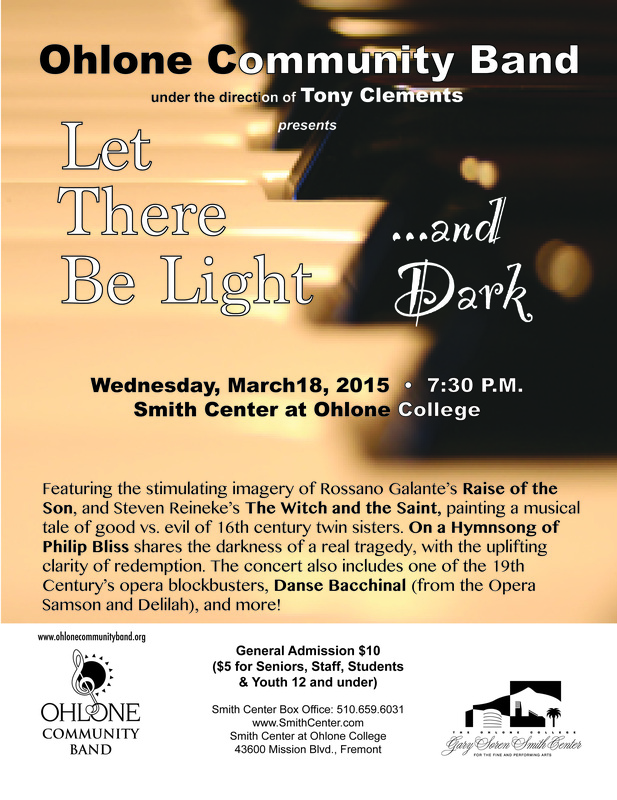 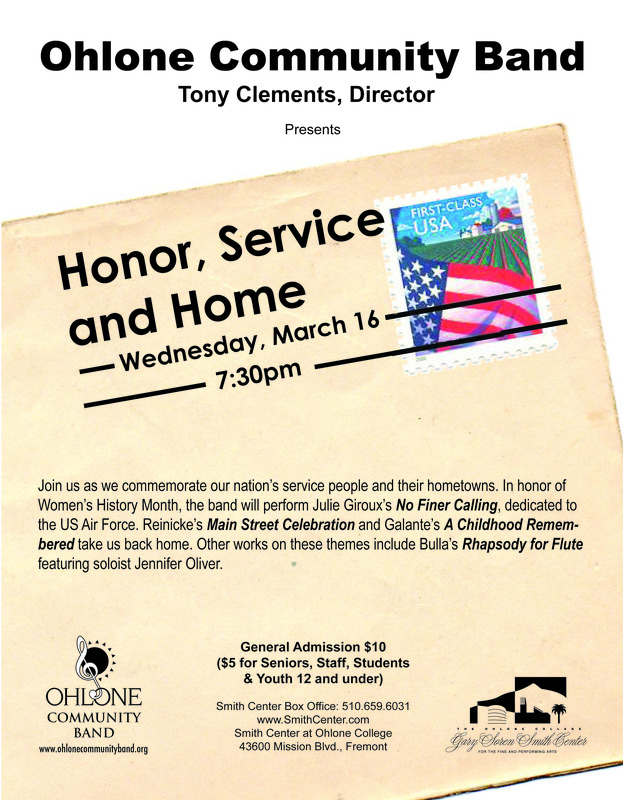 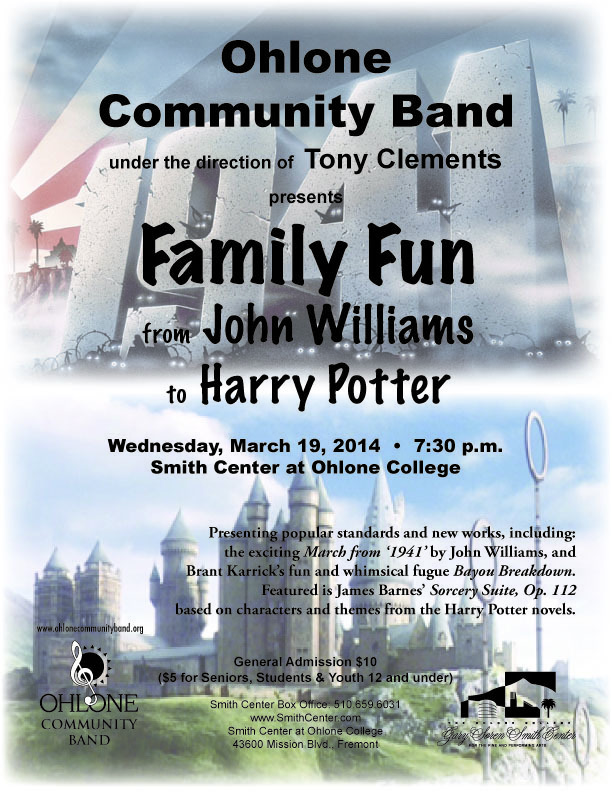 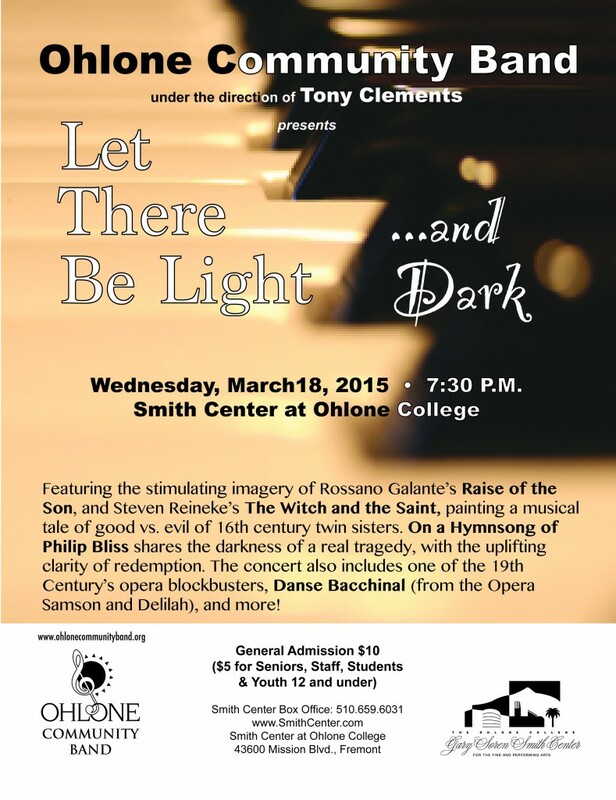 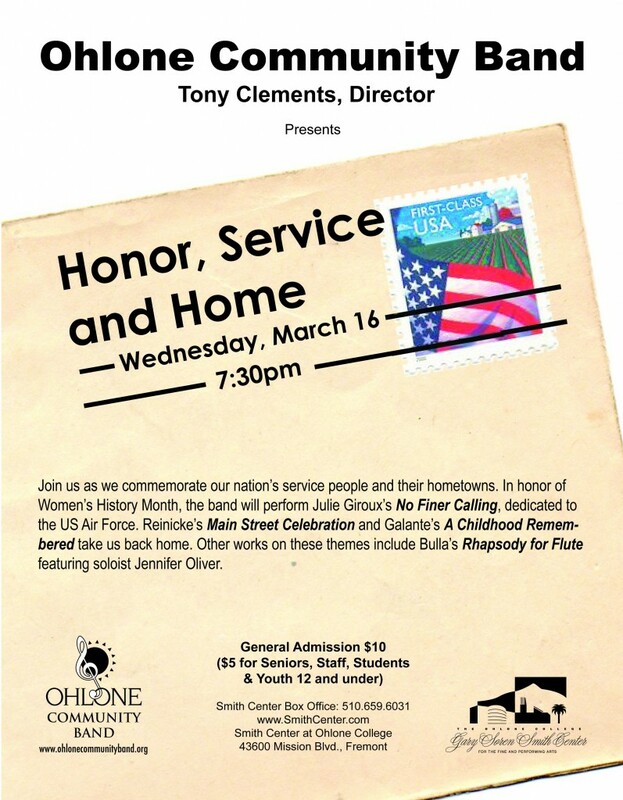 March 13, 2019 – OCB Presents a FREE CONCERT at Ohlone College in Fremont!